Cinematographer and Video Editor located in Yokohama, Japan. BA Degree in Film and Video from The University of the Arts, Philadelphia. 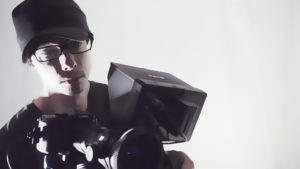 Current work includes video content production, motion design, fx, directing, and post production. As seen on MTV2, MTV Japan, Current TV, Univision, Youtube & Beyond. Clients include Sony Pictures, Samsung, Lexus, Current TV, Market America, Ice Block Films, Cinemassacre, & Crystalline Studios.